We offer a variety of residential and commercial property preservation services. Clean Up Clear Out will act to ensure that each property is secured and maintained. Our network of experienced professionals delivers timely and affordable service every time. Services include winterization, securing property, along with list of corrective/maintenance and disaster recovery services designed to maximize the appearance, safety, and marketability of your property. Clean Up Clear Out, specializes in home rehabilitation and are able to change a neglected home into a sellable property quickly and affordably. Our goal is to convert properties to sellable condition so that the properties can get the highest price possible. 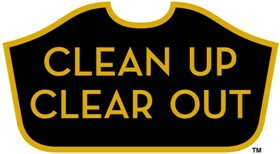 Clean Up Clear Out delivers the services clients need to increase property value and maximize appeal.